Super ... Very good stay , super swimming-pool and Restaurant , room was large and clean , staff helpfull. I suggest TOP Park in Bologna. 3 stars Hotel - Congress Centre, 142 rooms, including 8 connecting rooms, 2 rooms for the disabled, 20 rooms for no-smokers, all with contemporary decor and air conditioning, sat TV, radio, direct phone line, hotel full covered by WI-FI High Speed Internet Access. 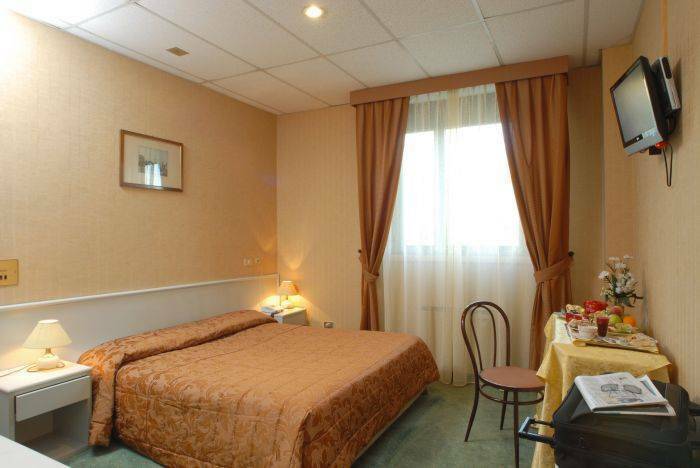 The hotel is only a few minutes from Bologna historical city centre (Km 8, 5 from Porta S. Stefano) the Bologna Airport Guglielmo Marconi 16 km, the fairgrounds (Km 13), main motorway exits (A1-A14-A13) 10Km and the main railway station (Km 10). 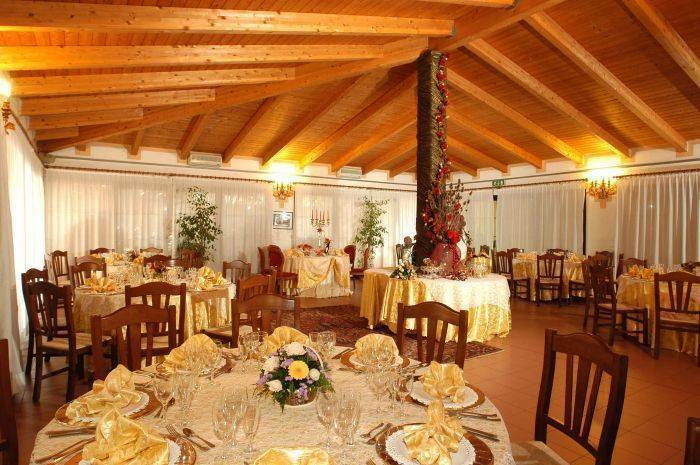 A buffet breakfast (extra charge € 5, 00 per persona) is served in the La Buarì hotel Restaurant, or if you prefer we offer Breakfast Room service until 12. 00 am. The evocative outside areas of the hotel mean it is possible to organize cocktails beside the pool and refreshments of any kind in our garden. 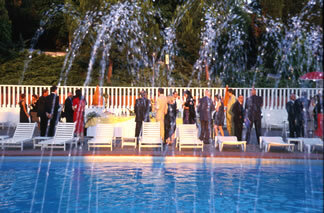 The Veranda banquet room, adjoining the garden, is available for banquets and business lunches. The original timber ceiling complements the terracotta floors and top quality table linen. The La Buarì restaurant in a restrained and elegant atmosphere, guided by attentive and proficient Staff, offers our clientele the true flavours of Emilia Romagna cuisine. An noteworthy wine list completes the quality of the gastronomic product offered. The congressional area (including 8 meeting rooms), pride and joy of the TOP Hotel Park Bologna, was designed conventions for up 550 people; other different sized and modular can be used to host events of any kind and for any number. 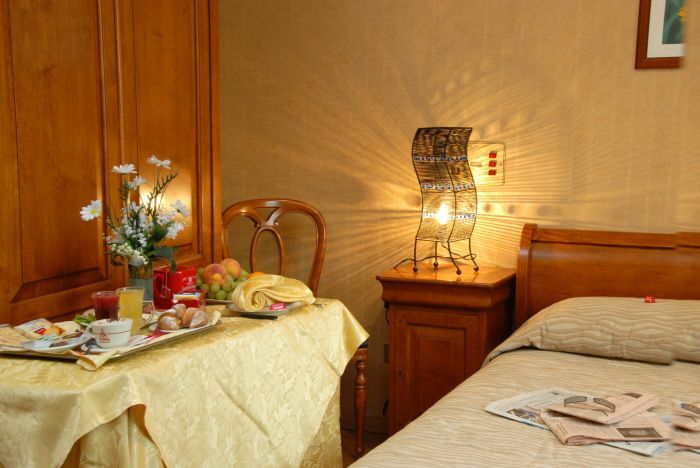 TOP hotel Park Bologna offers a range of 142 comfortable and spacious double rooms organized in 4 floors, out of which 16 are connecting. The hotel accommodation includes rooms specially fitted for disabled people. 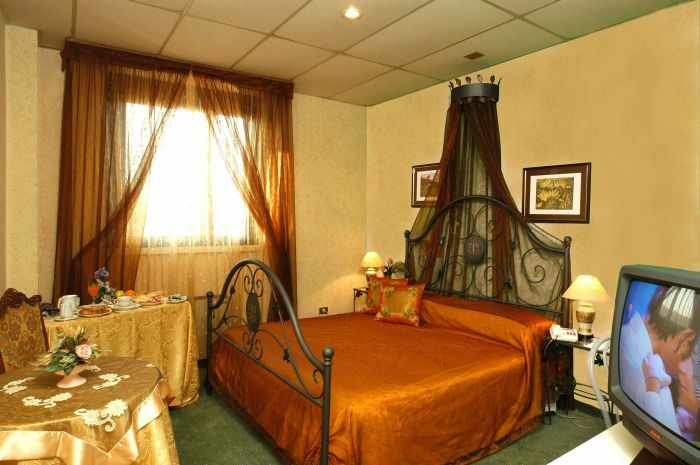 All guestrooms are tastefully decorated combining traditional elegance and modern comfort. Special care has been given to the choice of the furnishing. Yellow, orange and pink pastel shades characterise our rooms' furniture and tapestry. All rooms are completely soundproofed; furniture include complete bathroom with bath-tube and shower, blow drier, TV with satellite, radio, air conditioning and heating, High-speed Wi-Fi Internet connection is at our guests disposal (a fee is required). The TOP Hotel Park Bologna is also the ideal place to appreciate the rich bolognese cuisine, famous all over the world, and to try some of the best Italian wines.